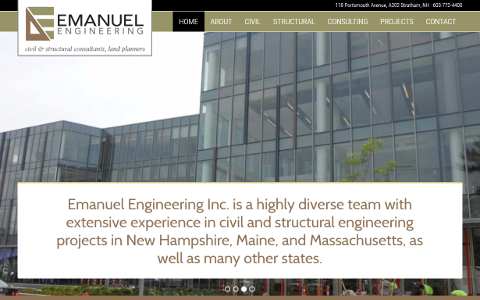 I collaborated with the designer to put together a modern-styled site for this engineering firm. It was a theme customization job, but with significant changes, both from a design and programming standpoint. What people don’t realize is that using photos that are that large requires not only top-notch photo quality, but careful styling to present them well. Other styling changes I added include the placement and look of the logo, the content floating above the huge photos, and many other subtleties.